Created and funded by the Open Society Foundations’ Education Support Program and hosted at CIES 2019 San Francisco, this year’s Spaces of Education Film Festivalette will help participants reflect on the meaning of human progress. The films selected for this fifth edition of the program question our cultural values and their implications for education, exploring connections between development and emotional and intellectual engagement. All screenings are first-come, first-served. No tickets required, registration at door. Please bring your CIES 2019 name badge. You may invite non-CIES guests to join you, but CIES members have priority access if the space is full. 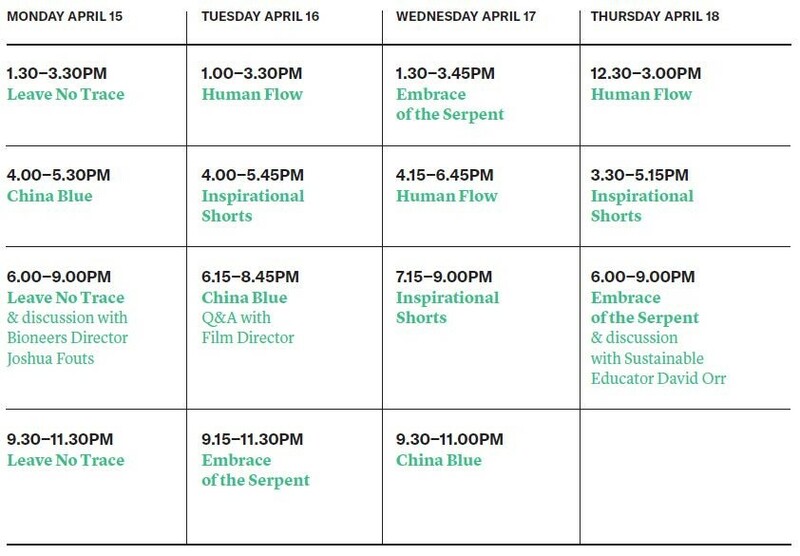 Also, for the first time, a selection of Festivalette films will be available to CIES members and invited guests online, free of charge, for one month after the conference (April 19–May 19, 2019). The available films will also include a selection of last year´s films from Latin America. Click here to access the films online. San Francisco-based Israeli filmmaker Micha X. Peled gives us clandestine access to verité day-to-day life in a jeans manufacturing factory in Shaxi city, Southeastern China. We mostly follow sixteen-year-old newcomer Jasmine who, like millions of others, has moved to a distant urban factory in the hopes of contributing to her rural family’s income. “I can’t let them down,” she says. Some of the workers are as young as 14. The owner meets Western buyer demands with very low prices and tight deadlines that result in low wages and 24-hour shifts for the girls. Friendship and dreams sustain the girls, until they cannot stay awake anymore and are deprived of expected payments. 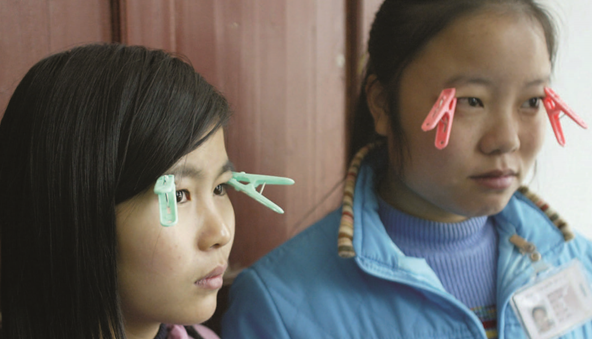 Jasmine hopes her life there was just a bad dream, sharing, “When I wake up, I’ll be back in school and playing with my friends.” This film offers nuanced, sensitive, complex insight into the human consequences of globalized consumerism. It confronts us with the role we play as consumers and prompts educators to question their role in this intricate system. environment, and a segment on the San Francisco Waste Composting Program shows how and why this program has been replicated in over 300 cities and 1,000 American universities. Through the program, locals get discounts for composting and the city sells processed compost to farmers. “Here a garbage man doesn’t see garbage, he sees resources.” [5-minute excerpt of feature]. 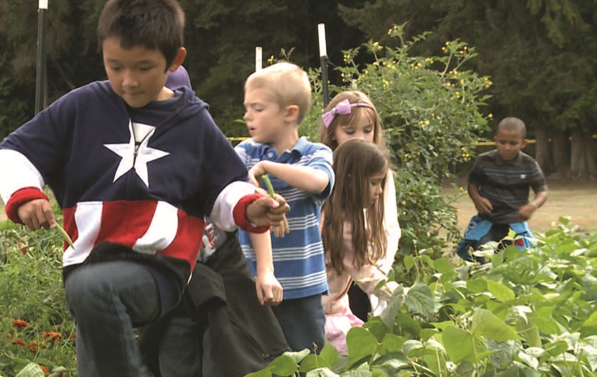 This film showcases the inner workings of a school farm in South Whidbey Island School District, Washington State. The farm transforms teaching and learning from kindergarten through high school and uplifts the community. Children help farm, use the experience for class projects, eat what they harvest, and provide healthy food for the school cafeteria. Ultimately, the community becomes more connected to the land and the school community benefits from better nutrition. In a Zurich suburb, families have the option to send their four to seven-year-old children to a public kindergarten that is held in the forest every day, no matter the weather. The film follows them and some of their families over the course a year. The children climb, build with sticks in the rain, carve with knives, and go home alone – experiences contrasted with those of children in a typical American preschool. Lisa Molomot’s case for outdoor, free-play learning poses questions about priorities in early schooling. Will, an ex-soldier suffering from post-traumatic stress disorder, and Tom, his thirteen-year-old daughter, live off the grid in a tent in the forests outside Portland, Oregon. It is illegal to live in the parks. When their hideout is discovered, they are pressured by social services to live “normally,” accumulating more and more things. Home-schooled Tom is high-achieving compared to her peers, but she must now attend a formal school. Will they find a way to return to their forest life? Has conventional contemporary living changed them? This is a beautifully realized, unique coming of-age film that portrays the complexity of family dynamics and questions what we should be teaching our children at home and as a society. Filmed in mesmerizing black and white, Embrace of the Serpent immerses us into the heart of the Amazon in a dreamlike adventure. Inspired by the diaries of two real botanists, this fictional story intertwines two journeys guided by Karamakate, a wise Indian shaman, the last of his tribe. He travels with German Theo in 1909 and with American Evan in 1940, in search of a rare sacred plant the explorers hope will heal them. When Evan claims, “I devote my life to plants,” Karamakate replies, “That’s the most reasonable thing I’ve ever heard a white man say.” Their voyages paint an unforgettable critique of the white man’s disrespect for native culture and destruction of nature for the sake of profit. To reverse this ruinous story that repeats itself, Karamakate challenges us to radically transform our cosmovision and be “re-educated” as we listen to the Amazon through his perishing ancestral wisdom. For this stunning epic, internationally-acclaimed Chinese artist and activist Ai Weiwe filmed for a year employing technologies such as drones, iPhones, and cameras to immerse us in an odyssey spanning 23 countries. 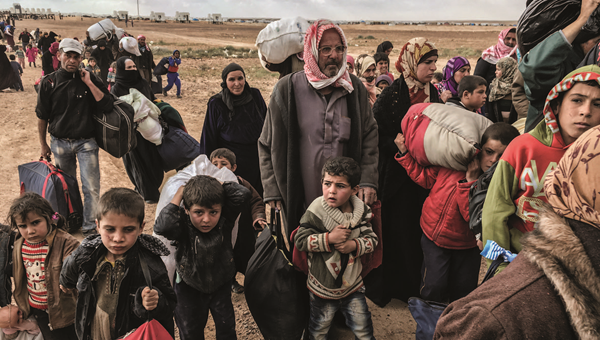 We witness the plight and dignity of thousands of “refugees” from the global South fleeing climate change, poverty, and war, most making their way slowly up to Europe. Some of the children live for years in camps without access to formal education. Weiwei was himself forced into exile within China as a child and had almost no access to formal education, so he is able to intimately connect us to the humanity of people on the move who should have the right to access schooling and to a livable place on our planet. How can education contribute to shaping cultures where their dignity and rights are respected?